Chennai Super Kings vs Mumbai Indians is hands down the biggest rivalry in the history of Indian Premier League. Both teams have faced each other 26 times (including in defunct Champions League Twenty20), with Mumbai emerging on top in 14 of those encounters, while the rest of 12 matches have gone in Chennai's favour. Having won three IPL titles each, the two teams have produced some thrilling matches and will collide again at the Wankhede Stadium on Wednesday (April 3). Here's a look back at the top five games between the two teams (not in any particular order) in the history of the tournament. The two teams brought the roof down when they faced off for the first time in the first edition of IPL. Over 400 runs were scored at the MA Chidambaram Stadium and it was the home side that somehow managed to survive the thriller. Matthew Hayden was in some mood, smashing 81 in just 46 deliveries. 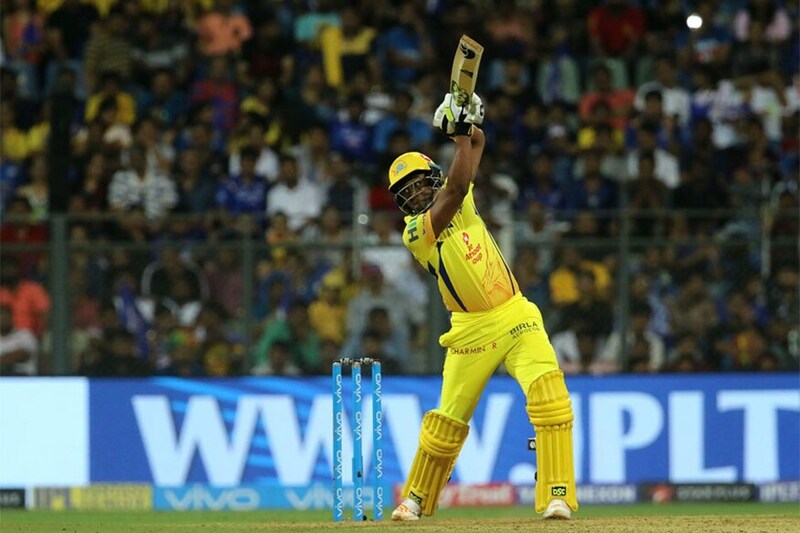 He found ample support from CSK's biggest servants - Suresh Raina (53 in 37) and MS Dhoni (30 in 16) as they amassed 208 for 5 in their 20 overs. In reply, the likes of Sanath Jayasuriya, Robin Uthappa, Abhishek Nayar, Dwayne Bravo and Harbhajan Singh all chipped in but Manpreet Gony and Joginder Sharma held their nerves to restrict Mumbai to 202 for 7. 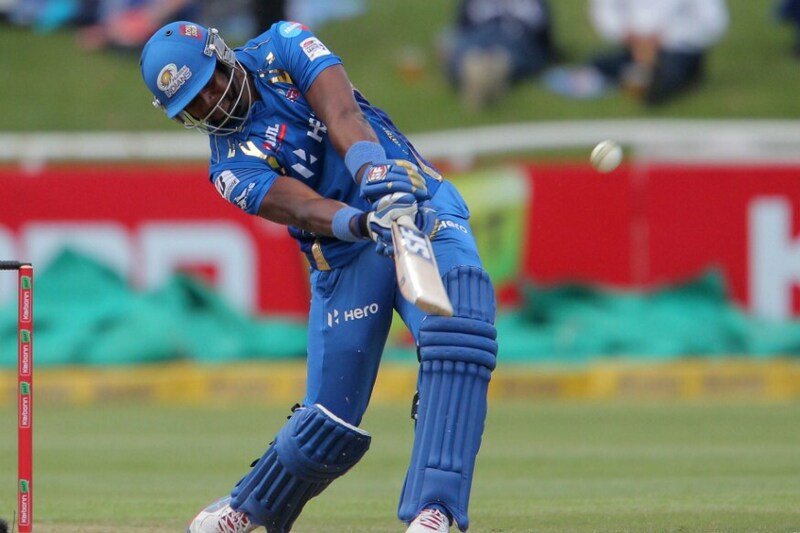 After Rohit Sharma blasted 48-ball 87, Harbhajan scalped five wickets to help Mumbai script a stunning comeback. Ambati Rayudu and Andrew Symonds played their part in the batting department but it was Rohit who made all the difference. The current Mumbai skipper hit eight fours and five sixes during his stay in the middle and took his team to a par score of 164 for 4 in their 20 overs. Despite losing two early wickets, Michael Hussey (41) and S Badrinath (71*) led Chennai to a terrific platform before Harbhajan triggered a tremendous collapse. From 97 for 2 in 11 overs, Chennai collapsed to 140 for 9. Badrinath fought till the end but found no support from the other end as not a single batsman from the last seven could manage a double-digit score. Dwayne Smith smoked 6, 4 and 4 in Ben Hilfenhaus' last deliveries to help Mumbai pull off a heist at the Wankhede Stadium. There wasn't a single 50-plus score from the Chennai side but Murali Vijay, Raina, Bravo and Dhoni all contributed to push their team to a total of 173 for 8. In response, Sachin Tendulkar (74) and Rohit (60) got Mumbai off to a solid start before Ravindra Jadeja and Bravo picked up quick wickets to bring Chennai back in the game. With 16 needed in the last over, Hilfenhaus conceded only two off the first three balls before Smith went on a rampage to clinch an unbelievable victory for his side. 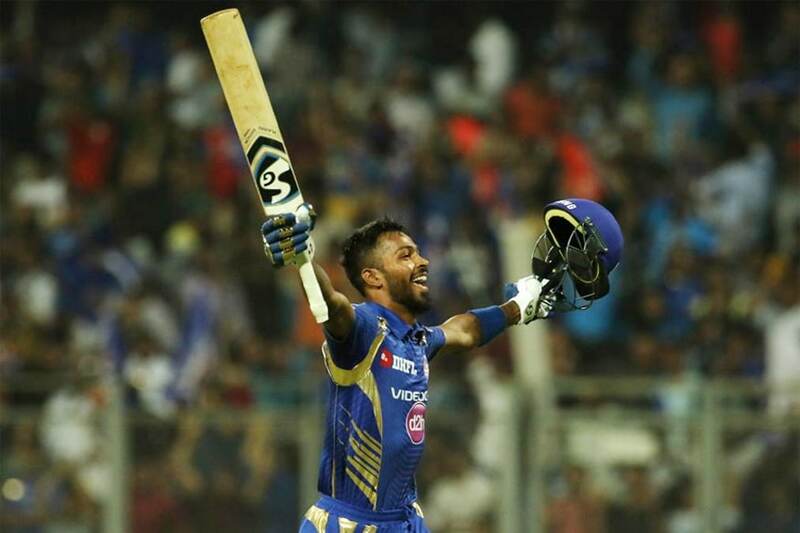 Needing 30 runs off two overs, Hardik Pandya and Rayudu slammed Pawan Negi for four maximums in the penultimate over to completely change the equation of the game. Chasing 159, Lendl Simmons, Parthiv Patel and Rohit all got starts but were tied down by R Ashwin. That's when Rayudu (19-ball 34*) and Hardik (8-ball 21*) stepped in and added 34 runs in no time to help Mumbai emerge victorious. Earlier, it was Negi who scored an unbeaten 36 in just 17 deliveries to give Chennai a superb finish but little did he know about the carnage he was going to go through in the second innings. Making their return to IPL after a two-year ban, Chennai announced their arrival in some fashion as they beat Mumbai by one wicket in one of the craziest games IPL has ever produced. After Mumbai posted 165 for 4 in their 20 overs, Mayank Markande, the young legspinner, broke the back of Chennai's batting lineup as they were reduced to 84 for 6. All the big guns were back in the pavilion, but a sensational 68 off just 30 balls from Bravo turned the game around out of nowhere. The all-rounder tonked three fours and seven sixes and even treated Mumbai's best bowler - Jasprit Bumrah - like a rag-doll. Bravo was dismissed in the final delivery of the second last over and that's when Kedar Jadhav walked out on one leg and sealed the deal with a six over fine leg and then drilled the next ball through the covers to complete the heist.